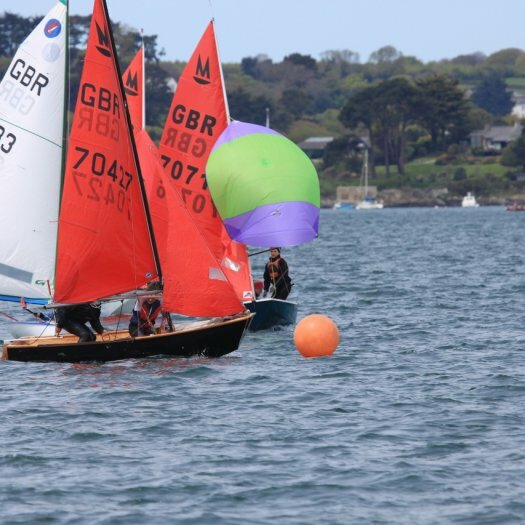 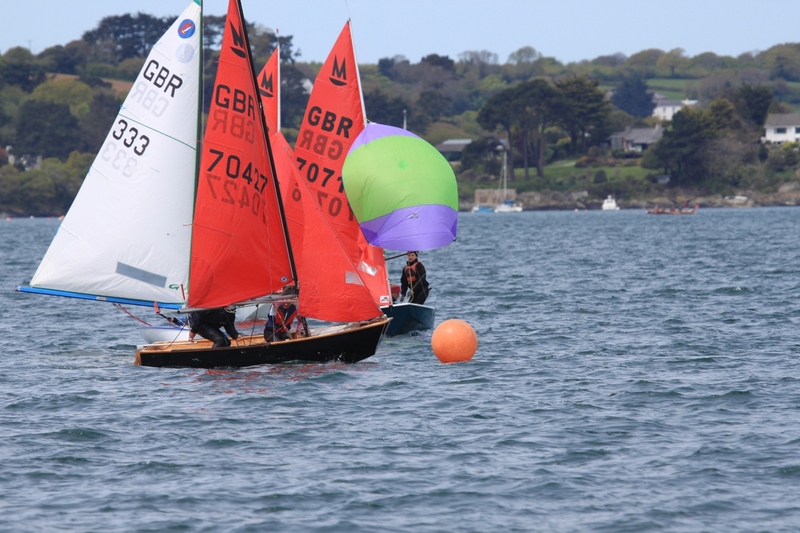 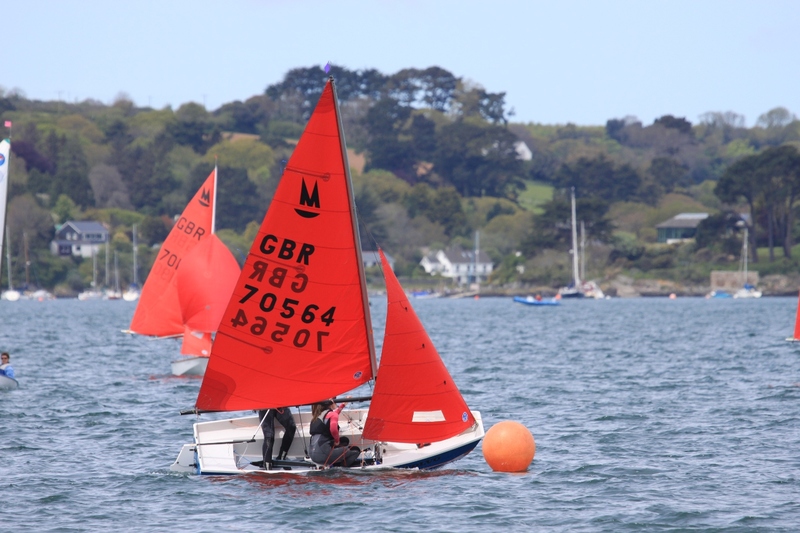 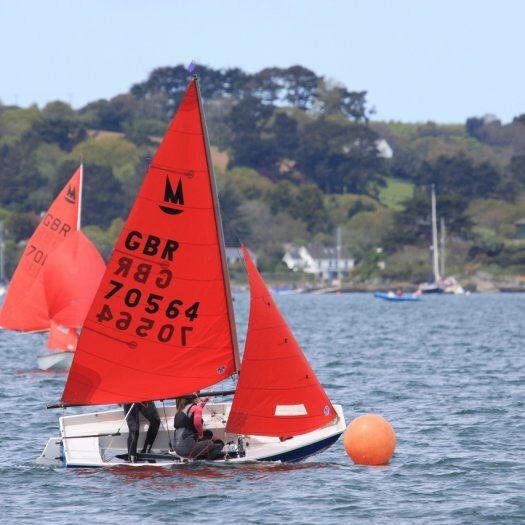 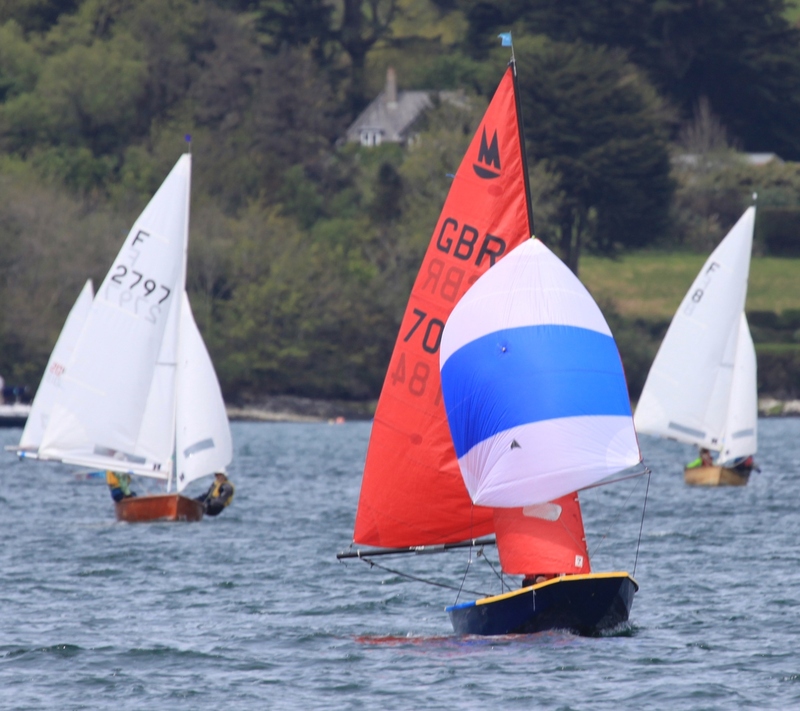 On Sunday 19th May the conditions were perfect in the perfect sailing venue, a force 3, dry, with the sun making a full appearance at the end of the afternoon. 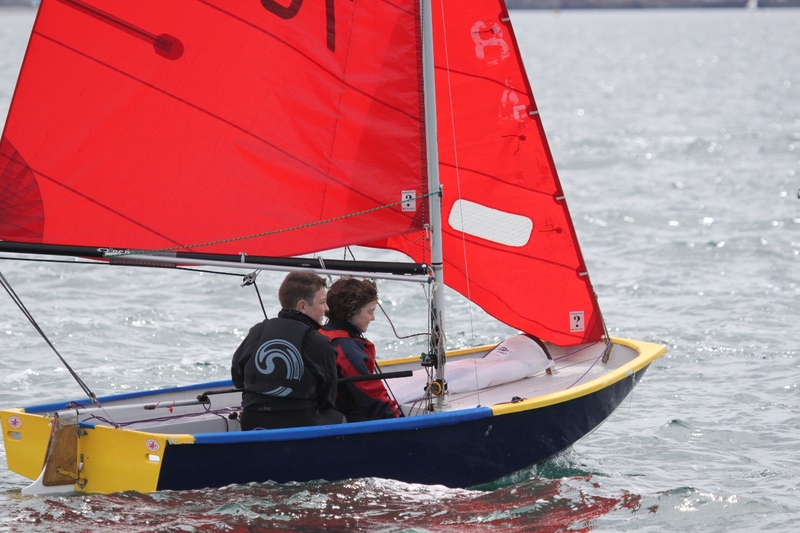 Three races were held, with lunch after race 1 to socialise and relax. 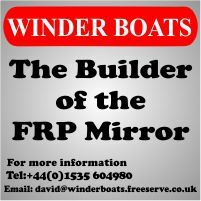 Ten Mirrors turned out, with four visitors.There was a terrific mix of those entering their first traveller away from their own club to the seasoned adult to national squad talent. 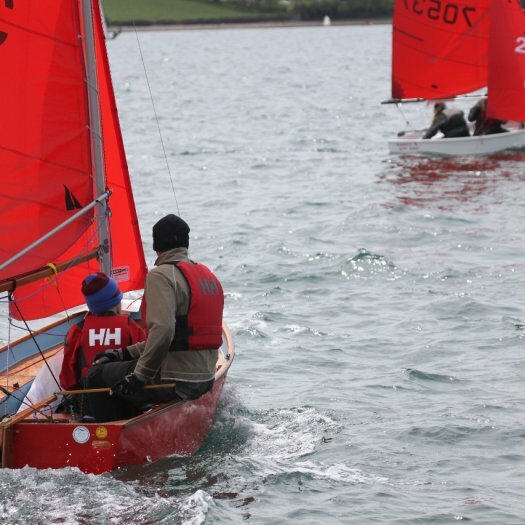 We had terrific sponsorship from Gul, with £50 gift vouchers a piece for the helm and crew in first place! 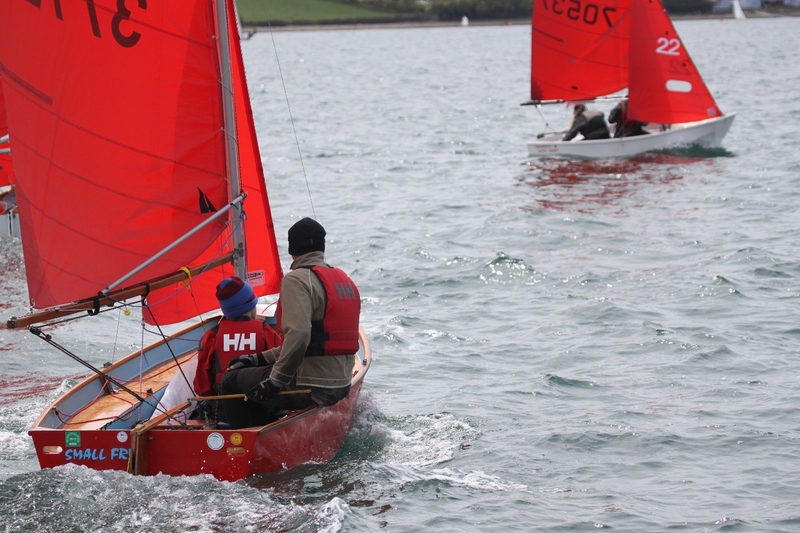 In the 1st race Rebecca Stevens & Niamh O'Neill sailed away into the lead, with Esther & Lauren Bowdler 2nd and Martin Egan & Harvey Martin 3rd. On the 2nd beat Tom Cosier went the right way to move up into 2nd with Esther & Lauren Bowdler 3rd. 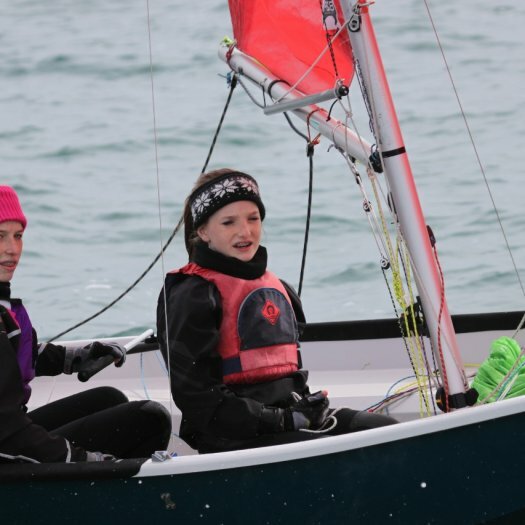 In the 2nd race once again Rebecca & Niamh took the lead, with Martin & Harvey 2nd followed by Esme & Scarlett Shepherd just behind in 3rd place. 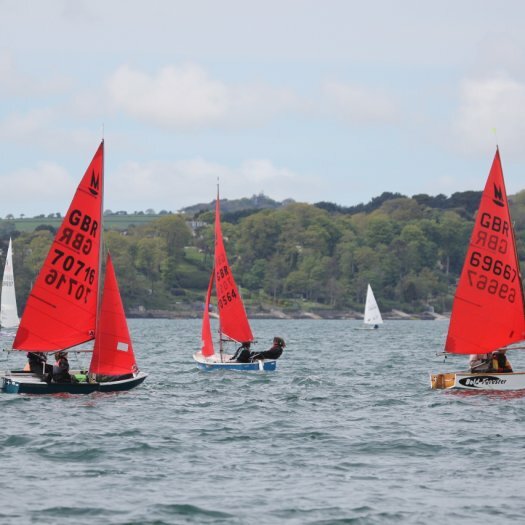 This time it was Colin & Ruby Stephens and Esther & Lauren who went the right way on the 2nd beat to get up into 2nd and 3rd places respectively. 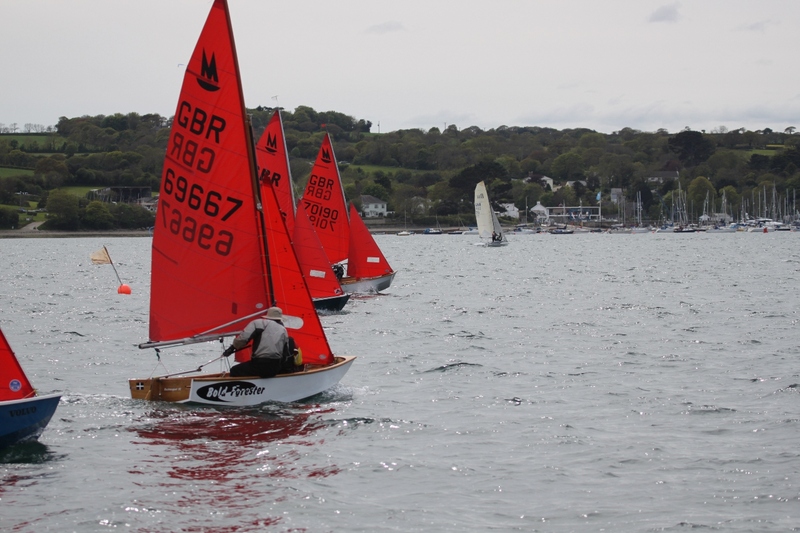 On the final run Esther & Lauren managed to overtake Colin & Ruby just before the line to take 2nd place. 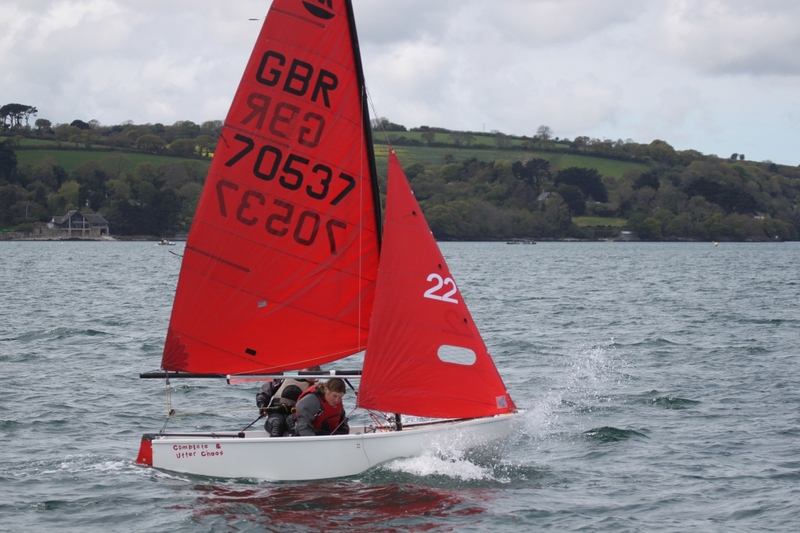 In the 3rd race Esme & Scarlett and Tom spotted the late shift, started by the pin and port tacked the fleet. 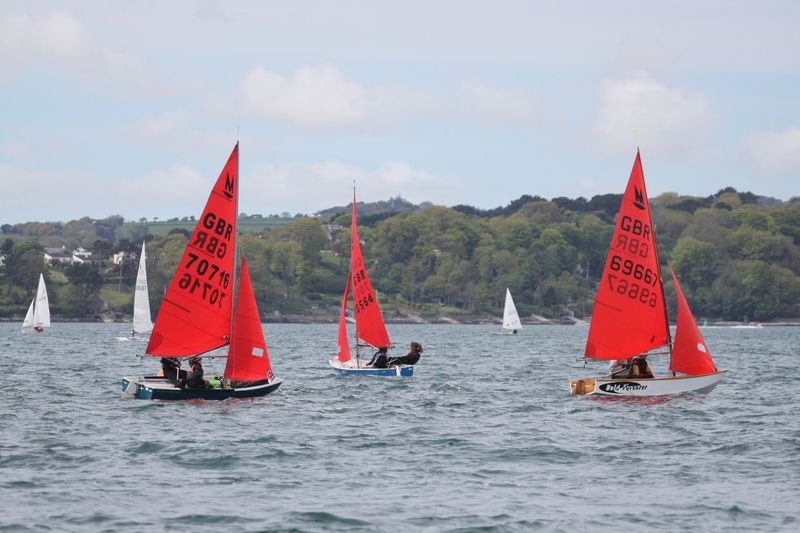 By the end of the 1st beat once again it was Rebecca & Niamh in the lead with Esme and Scarlett in hot pursuit in 2nd which they held to the finish ahead of Esther and Lauren in 3rd. 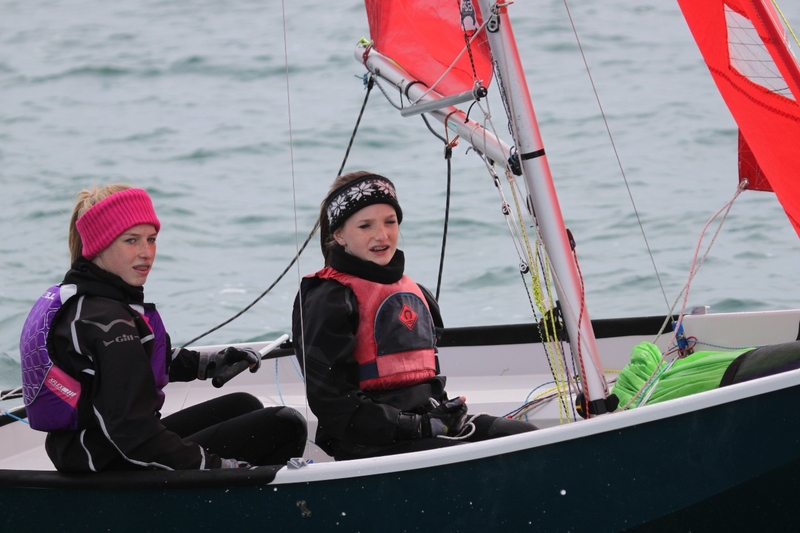 As you can see, each of the three races was dominated by Rebecca Stephens & Niamh O'Neill, with three years of RYA Mirror National Junior squad training between them. 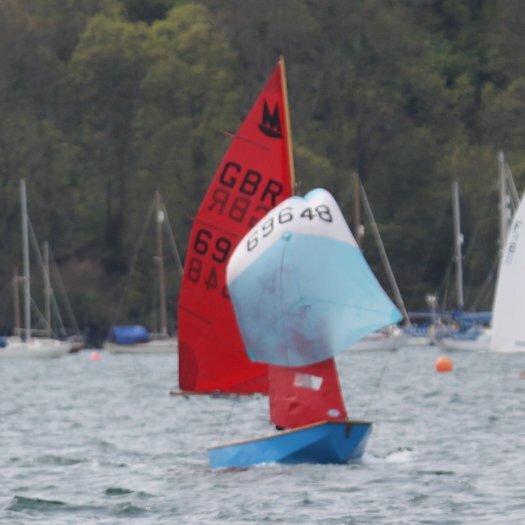 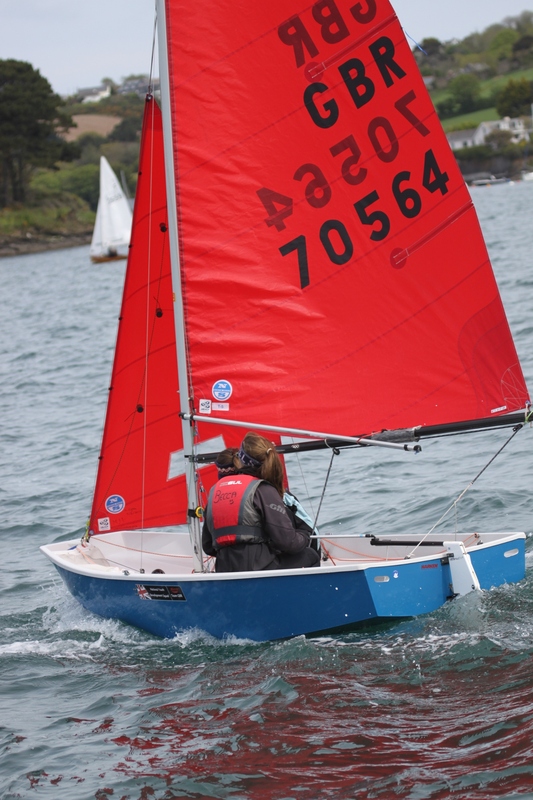 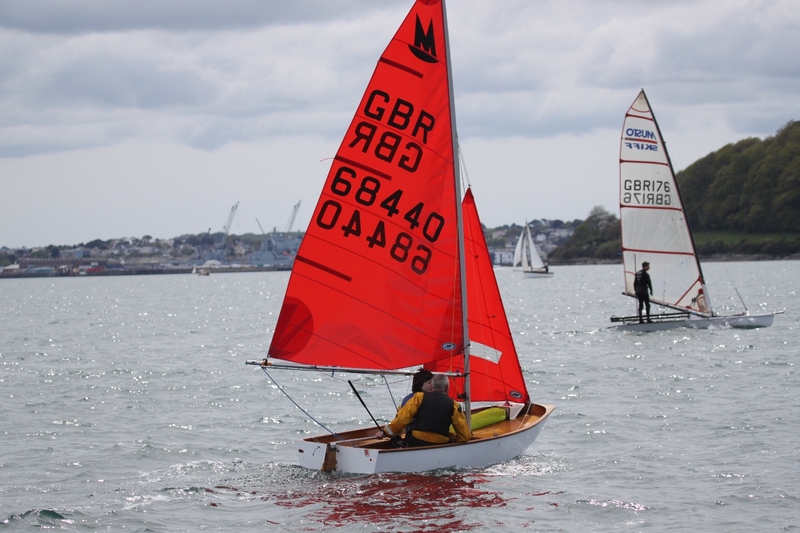 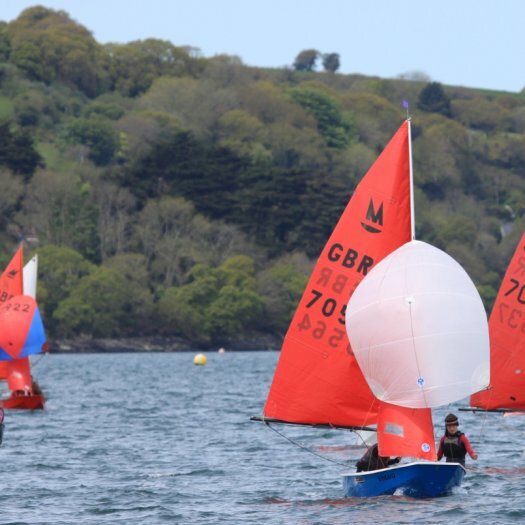 Overall in second were the Bowdler sisters from Looe, who have been involved in the SW spring training for three years, then the Shepherd sisters in third having just completed a year in the RYA Mirror National Junior squad. 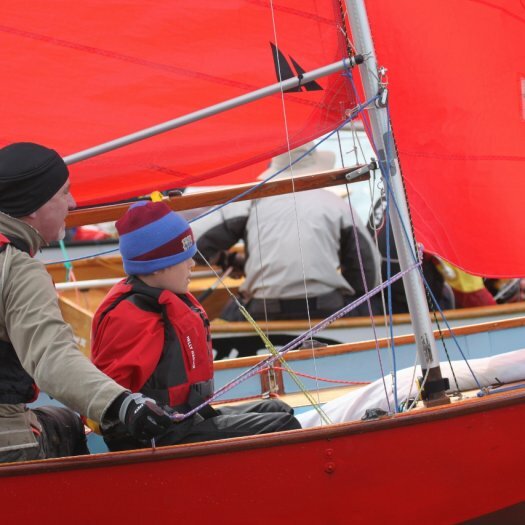 The theme is do the training and you will get the results! 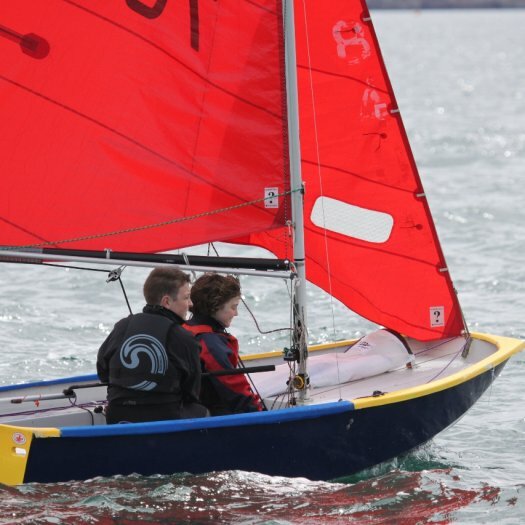 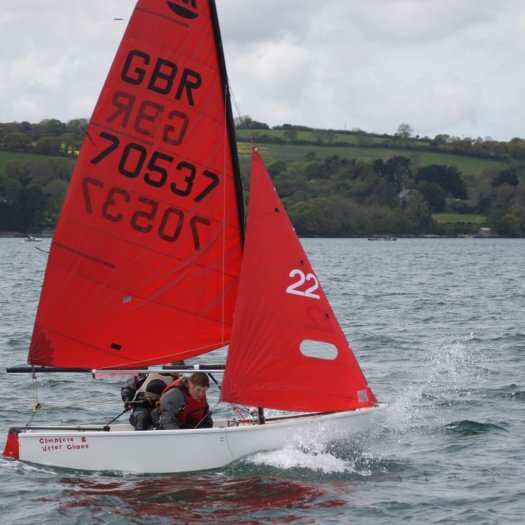 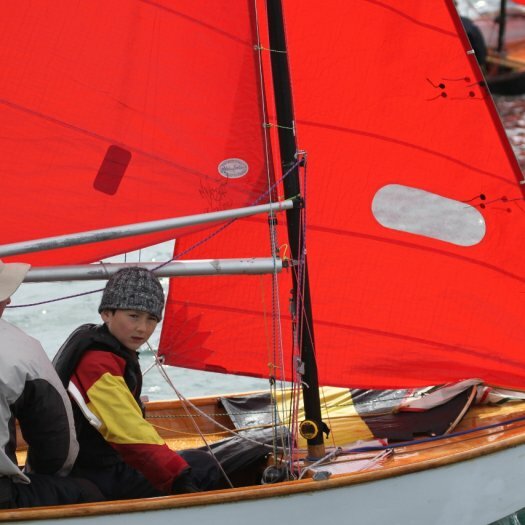 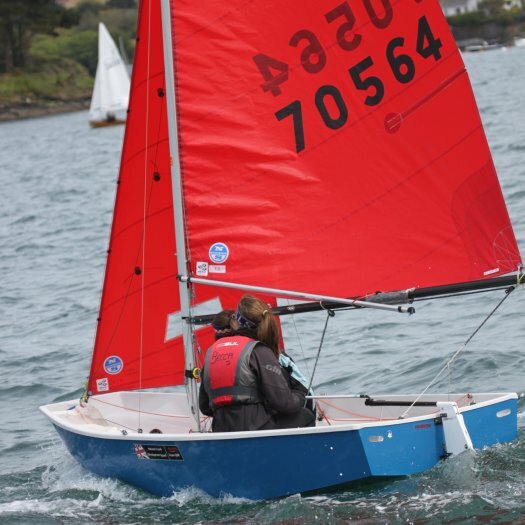 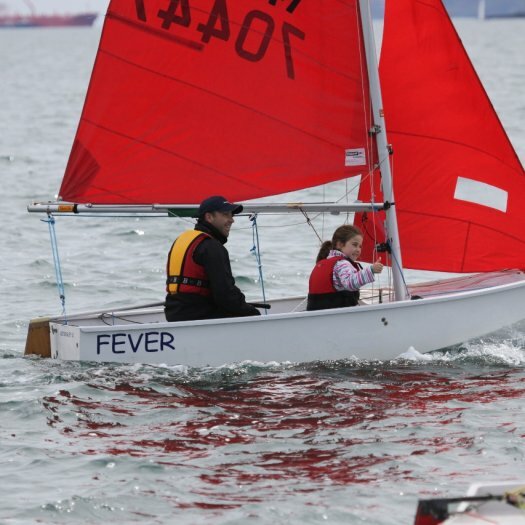 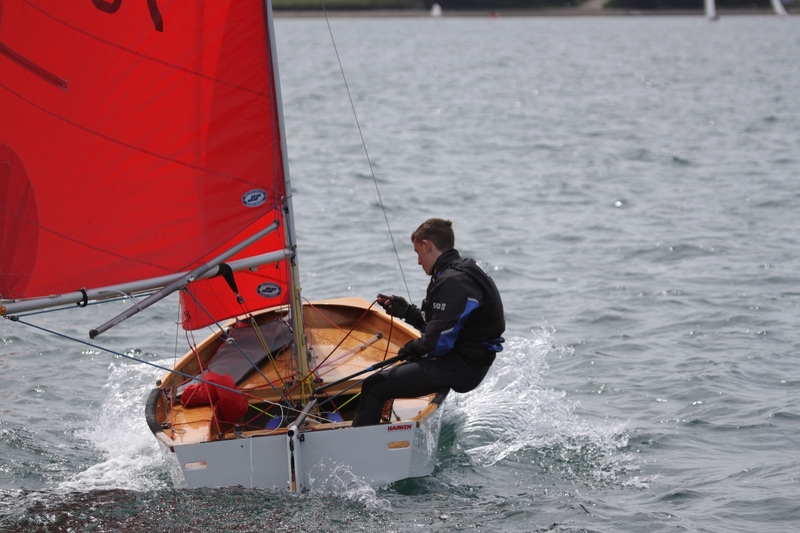 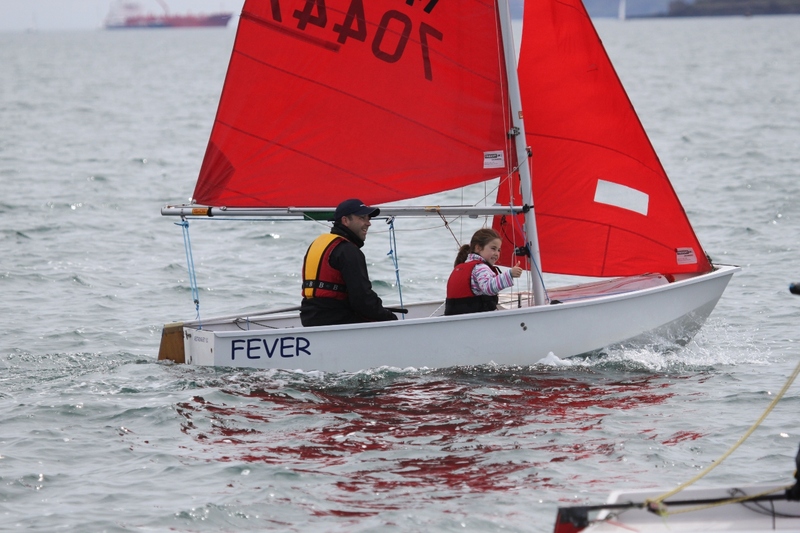 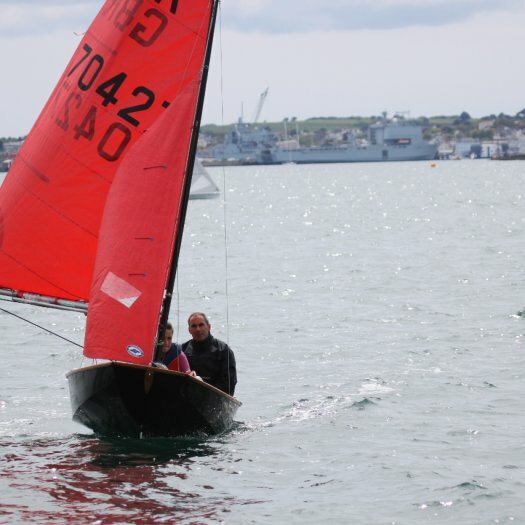 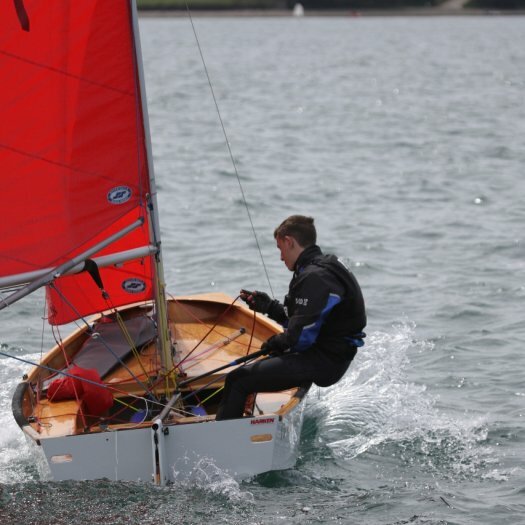 Special mention to Tom Cosier, single handed for the first time and first "boy" home (actually Tom turned sixteen last Thursday) and former RYA Mirror National Junior squad sailor two years running. 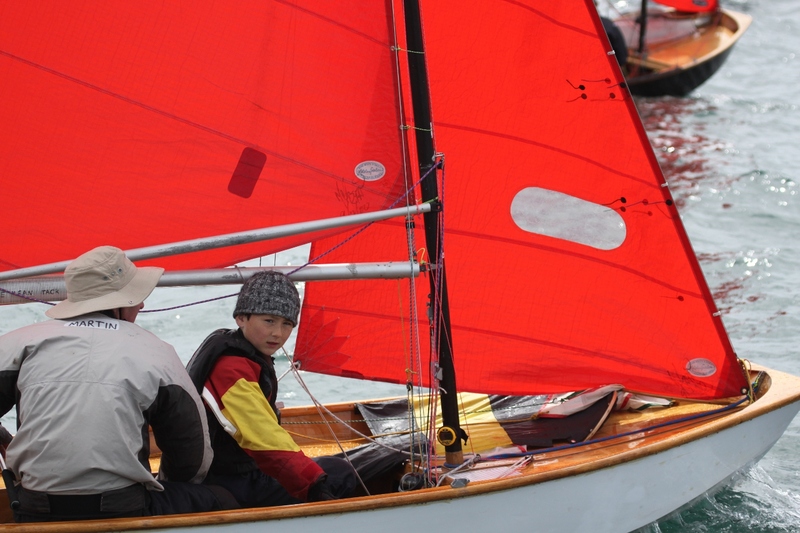 And finally, Ollie (11) and Archie (9) Hawkins received the prize for youngest sailors to finish all races and they were not last round! 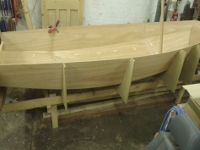 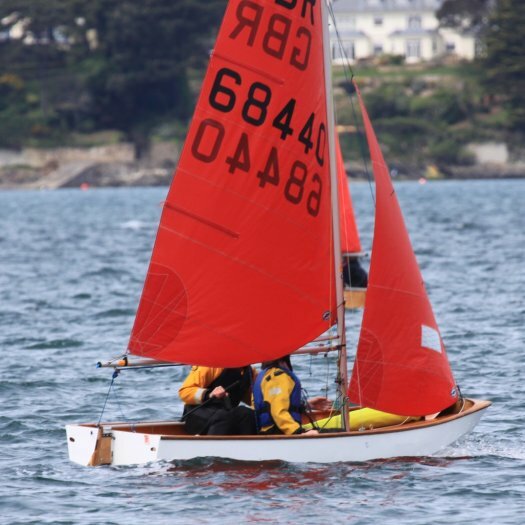 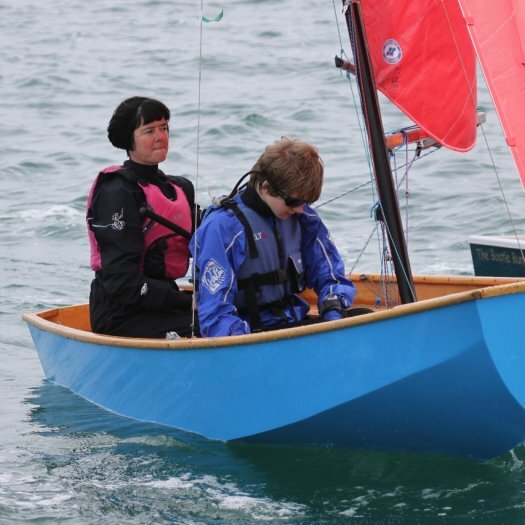 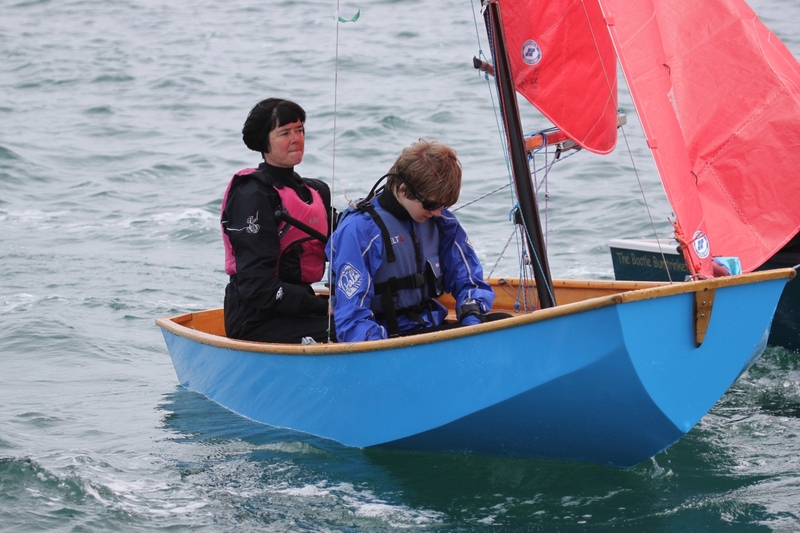 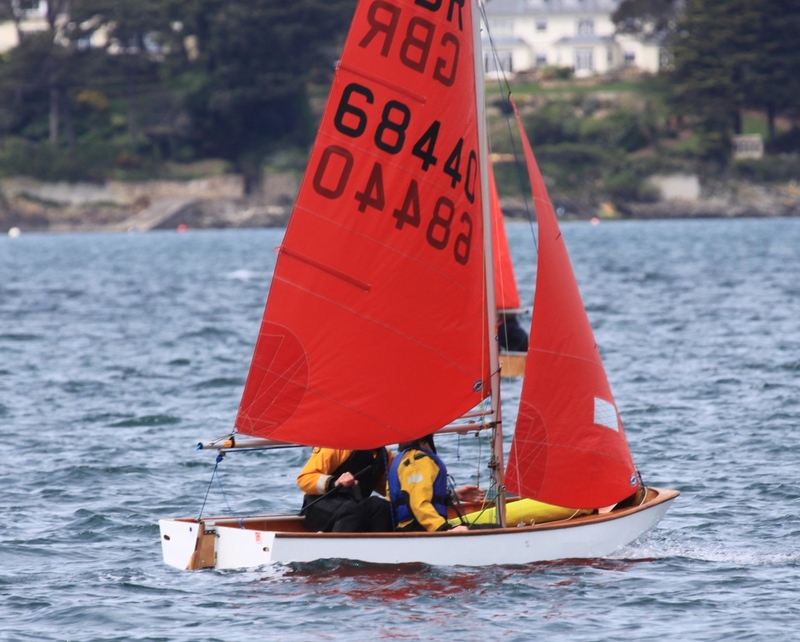 The two young fellows from Looe only started sailing together during the SW Spring training in the autumn frolics last year. 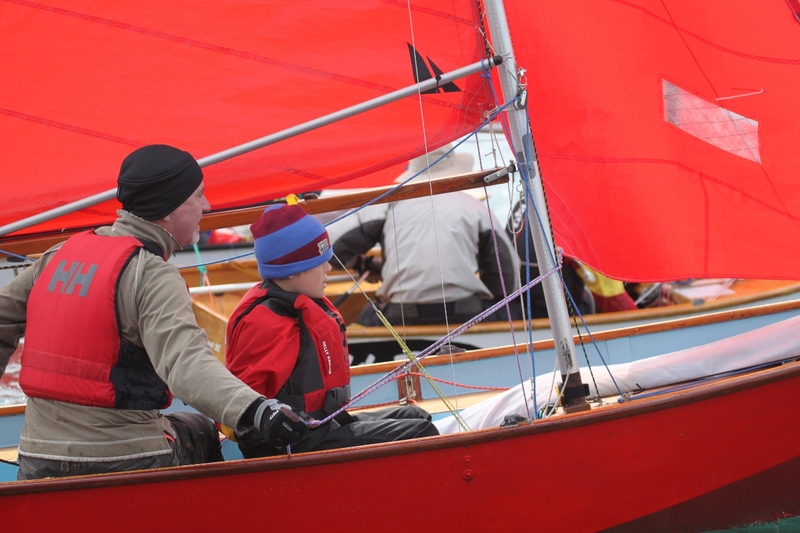 A thanks to the adults, not just the parents for getting their kids involved and here, but the ones on the water bringing along new faces. 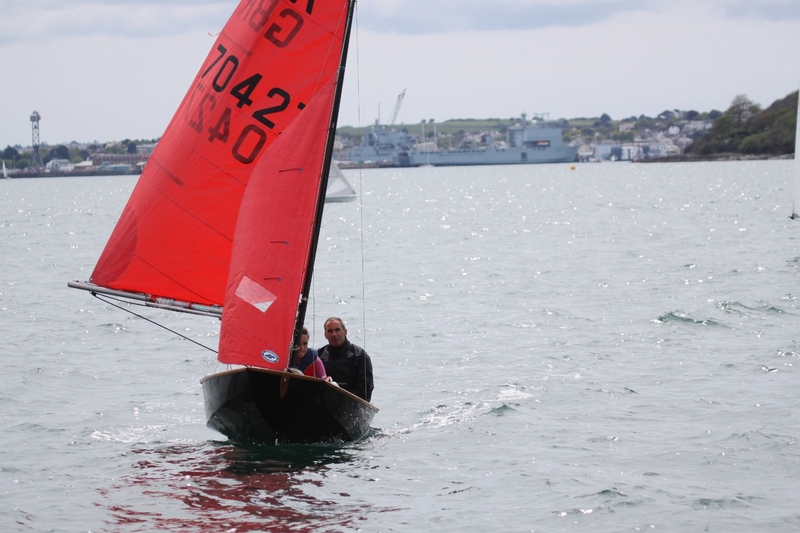 Also, the adults who put on the event, Steve Grant for being OOD and his "Lugo Rock" race team for manning safety boats and taking the pictures. 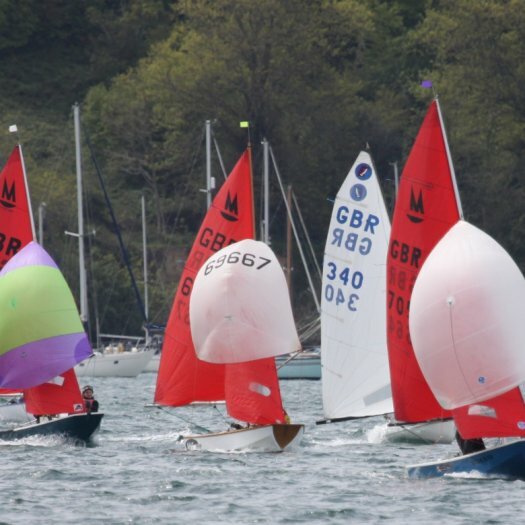 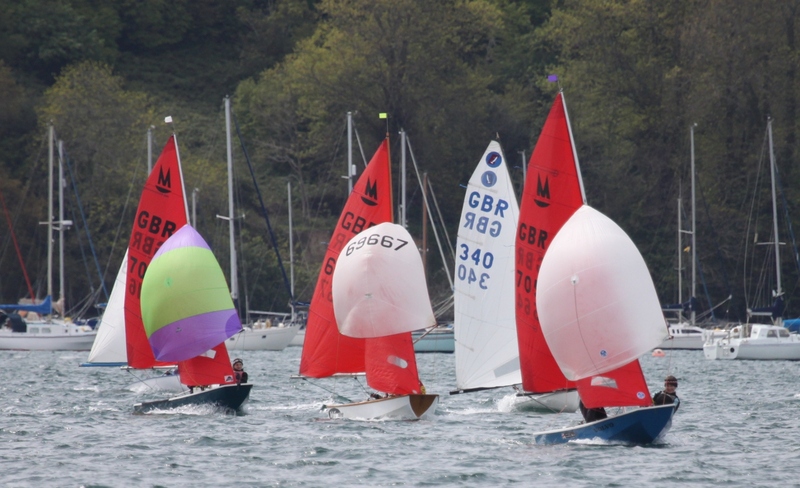 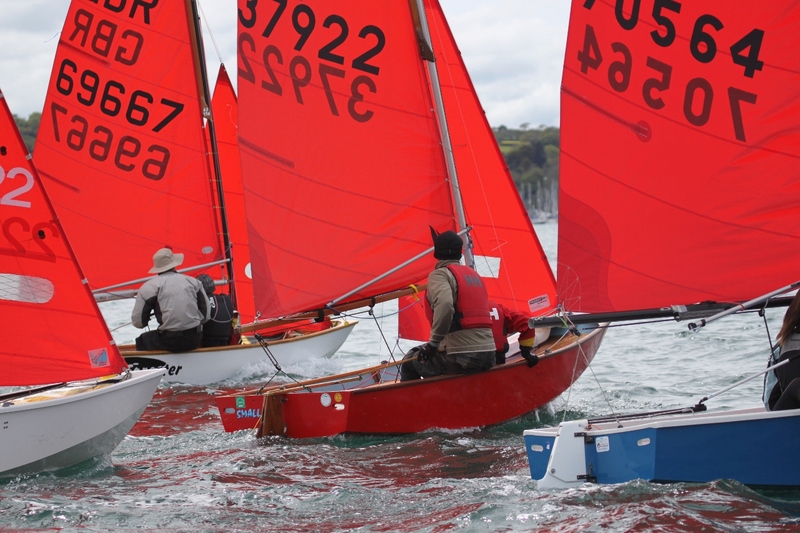 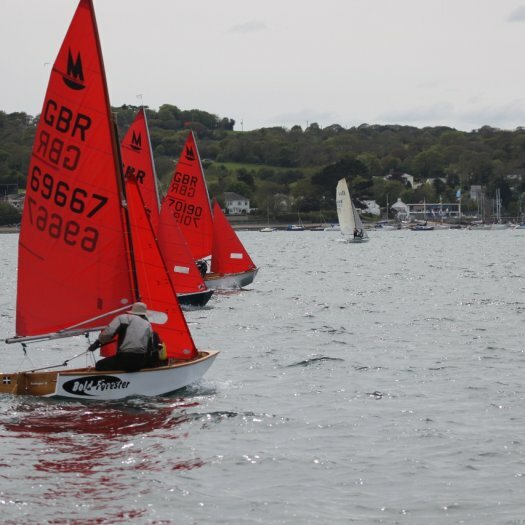 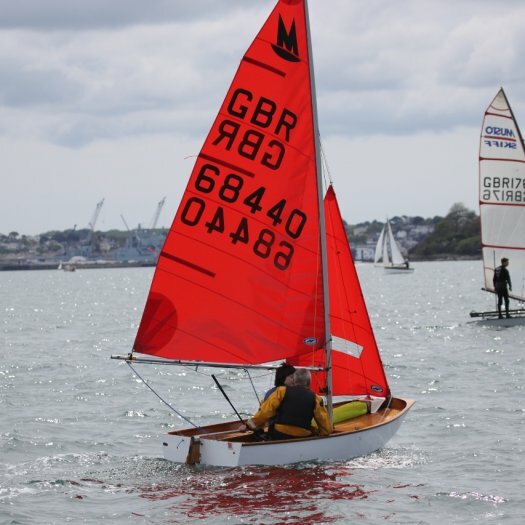 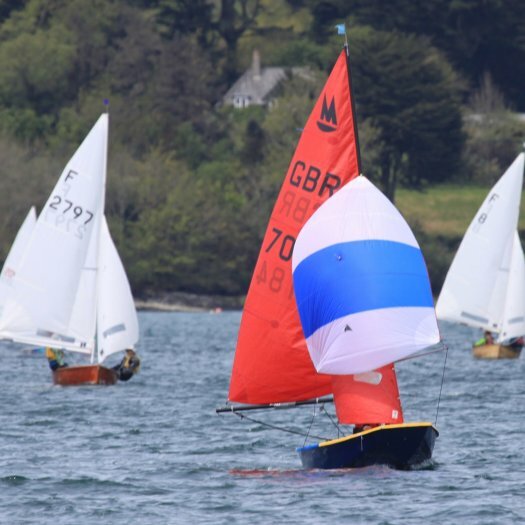 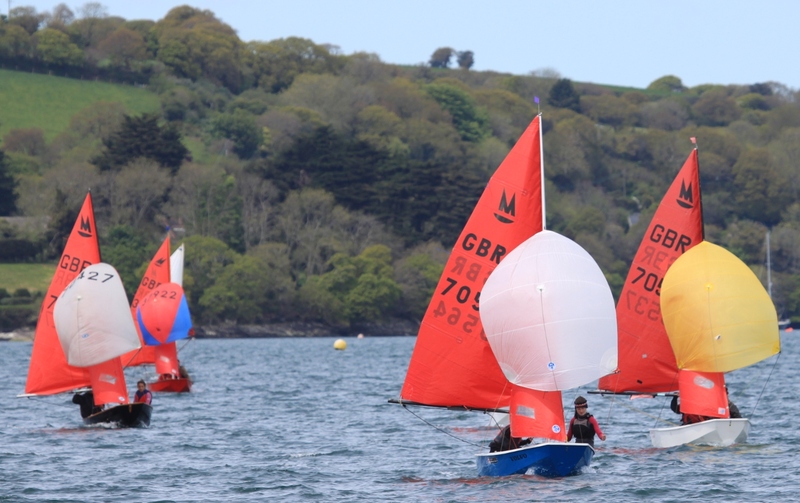 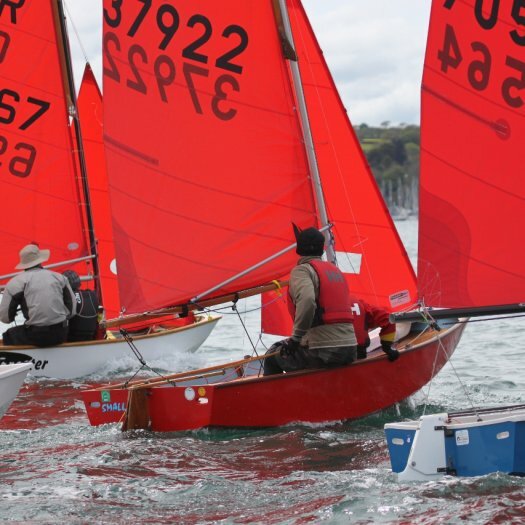 There are three more SW travellers and yet more Gul prizes, you better check your diaries and re-arrange things to get on the startline on Saturday June 1 at Looe, see you all there!